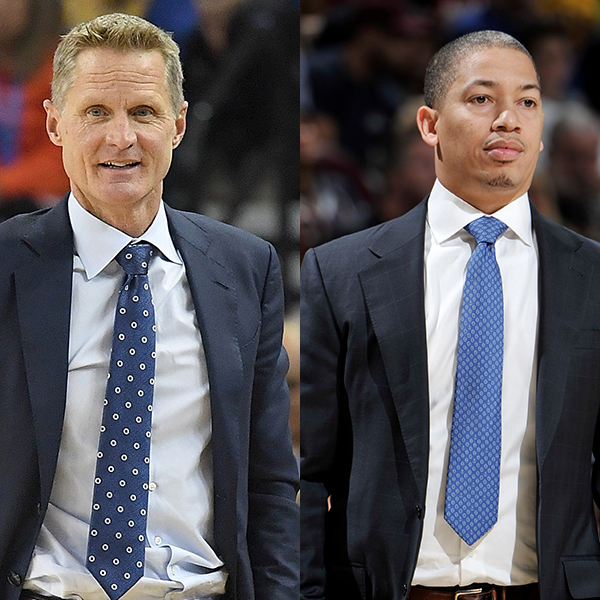 NEW YORK — The Cleveland Cavaliers’ Tyronn Lue and the Golden State Warriors’ Steve Kerr today were named the NBA Eastern and Western Conference Coaches of the Month, respectively, for games played in October and November. Lue guided the reigning NBA champion Cavaliers to an Eastern Conference-best 13-3 record during October and November, matching the best 16-game start in franchise history. Cleveland, which began the season with six straight victories, ranked second in the NBA in scoring (111.3 points per game), three-point field goal percentage (39.0) and three-pointers made (13.8 per game). The Cavaliers sank a team-record 21 three-pointers in a 137-125 win over the Portland Trail Blazers on Nov. 23. Kerr led the Warriors to an NBA-best 16-2 record in October and November, including 12 victories in a row entering December. Golden State paced the NBA in scoring (117.6 ppg), assists (31.1 apg), field goal percentage (50.2) and blocked shots (6.6 bpg). The Warriors notched at least 30 assists in 10 consecutive games, the longest streak in franchise history, and they registered a team-record 47 assists in a 149-106 win against the Los Angeles Lakers on Nov. 23. Other nominees for the NBA Eastern and Western Conference Coaches of the Month were Charlotte’s Steve Clifford, Chicago’s Fred Hoiberg, Houston’s Mike D’Antoni, the LA Clippers’ Doc Rivers, the Lakers’ Luke Walton, Memphis’ David Fizdale, San Antonio’s Gregg Popovich and Toronto’s Dwane Casey.